Sometimes the antics of the majority on the Costa Mesa City Council leaves the mind reeling. Tuesday night was one of those times. To start with, watching our new mayor, Eric Bever, try to run a meeting is amusing at best and painful at worst. Between his tenure on the Planning Commission and his three years plus on the City Council one would expect him to be pretty comfortable on the dais and, at the very least, know how to operate the timer! Nah, that's too much to expect. He consistently mumbled and fumbled his way along and reminded more than one observer of the perpetually inept Chris Steel. And then there are the potential Brown Act violations when he and his pal, former mayor Allan Mansoor, engage in prolonged whispering on the dais while other council members are speaking. It's not only rude, but anything they have to say on the dais should be said for all to hear. Otherwise, don't say it! The majority continued to demonstrate their inability to think about issues in terms of the greater good for the entire community, choosing instead to be swayed by a few vocal community members. Of course, that doesn't really surprise me, considering that it was a disgruntled, vocal minority within the community that got them elected - the self-anointed "improvers". It was truly ironic that the council meeting began with acknowledgment and recognition of representatives from our sister city, Wyndham, Victoria, Australia who are in town as part of the educational exchange program and then ended with the council majority declining to establish a committee to coordinate and give structure to our end of the sister city program. As stated by former mayor Allan Mansoor, he thought it was more appropriate for the school district to carry the ball - to "do some of the work", as he so ignorantly put it. Watching the deliberations, one can easily come to the conclusion that the majority chose to reject this proposal because it was put forth by Council Member Katrina Foley. These deliberations and others made it clear that the council majority will take any opportunity to discredit and rebuff Foley in anticipation of the elections in November. During the public comments segment on the possibility of placing small "pocket skate parks" in some of our many parks around town Bever demonstrated a very cavalier attitude with the time clock. As one speaker presented his views the clock went off at the end of three minutes. He kept on talking and Bever turned the buzzer off and just let him ramble without comment. Now, I know this is no big deal - the speaker was an expert on skate parks and his insights are valuable - but this is the kind of thing you can expect from a Bever-led meeting. 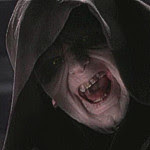 He will just make up rules to suit himself as things progress. Fortunately, on this issue they decided to consider four neighborhood parks for possible placement of pocket skate parks - in-ground facilities on a reduced scale. During the discussion of Foley's request to rehear the previously rejected bike trail along the Paularino and Delhi Channels we saw the classic Eric Bever convoluted thinking in play. After a long discussion which included many negative comments by residents contiguous to the channels in question and brief, off-the-cuff comments about potential costs, Bever launched into one of his adventures in outer space. He told the council and audience that, while the council was deliberating the issue, he had been doing some math. As those words came dribbling out of his mouth I knew we were in trouble because math calculations require the use of a side of his brain that usually doesn't get much work. I was right. He arbitrarily plucked random numbers from the discussions as one might pluck apples, oranges, bananas to make a fruit salad, jammed them into his cranium, shook it like a cocktail shaker and poured out something akin to prune juice. When pressed, Transportation Manager Peter Naghavi - a highly skilled and respected professional in his field - estimated the project might cost between $1 million to $1.5 million, but cautioned that his estimate was premature because there were too many variables undecided. Bever, with his marvelous math mind, pulled a number of $25 million out of the air! This guy just makes it up as he goes along! As you might expect, the upshot of this shoot-from-the-hip discussion was that the bike trail rehearing was rejected hands down. In a night filled with gaffes - former mayor Allan Mansoor tried to usurp Bever's authority a couple times in a reflex born of way too much time at the helm - perhaps the most egregious one occurred near the end, just before the discussion of the creation of a committee to shepherd the sister city program. 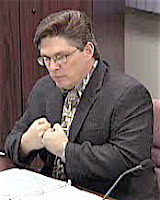 Bever opened the prior subject to public comment, observing that it was "non-existent", to which his buddy, former mayor Mansoor observed that Mr. Smalley (Thomas Smalley, General Manager of the Wyndham Hotel and President of the Costa Mesa Conference and Visitors Bureau) was there and he wasn't non-existent. Bever responded that, "he's not a member of the public, he's a groupie!". Will Bever ever understand that he doesn't have to regurgitate every single thought rattling around in his head? I guess not... It's like watching a teenager - I half-expect his voice to crack when he speaks! I have strong mixed feelings about the next several months. On one hand, it's clear that nothing has changed. The Mansoor/Bever/Leece troika still holds the power and they still disregard substantive issues proposed by Katrina Foley and Linda Dixon. This will undoubtedly continue until the election in November. On the other hand, with Bever at the helm every meeting promises to be worth the price of admission. You don't dare blink for fear of missing another mistake, fabrication of "truth"or procedural violation. If it wasn't so darn important it would be comical. Both the Daily Pilot and Orange County Register report today that a mentally disabled teenager from Ensign Middle School was beaten recently and the video record of the beating was posted on the MySpace web site. According to the news accounts, the perpetrators of this heinous crime have been arrested, as well as those responsible for filming it. Neither article gave specifics about the identities of the victim nor the perpetrators. However, that didn't stop the racist manipulator over at the CM Press from twisting this tragedy for his own purposes. In his rant published just before 6: 00 a.m. today, HERE, he alleges a cover-up by the Daily Pilot because they did not report the race of the perpetrators and goes on to say, "Because the perps are identified as Newport Harbor High School students, white hating bloggers are already jumping to the conclusion that it was rich white kids involved. This has not been established." Well, I've checked both articles and the accompanying blog comments. In neither publication was there any comment made assuming rich white kids were involved as of the time I posted this entry. He's fabricated this assumption to inflame a terrible situation and to attempt to place the blame on non-whites. This is typical of his form of "journalism". He fancies himself a "reporter" just because he played one in a pathetic movie 35 years ago. He makes up "facts" to suit his bias and has consistently done so over the years in his blog. Sadly, he has a group of followers here in town that actually believe his tripe. You can read the Daily Pilot article and accompanying blog comments HERE and the Orange County Register coverage HERE. Make up your own minds about the truthfulness of this guy's spin on things. Once again the effluent hit the oscillating device while I was out of town for a few days last week! I refer to the debate being conducted on the pages of the Daily Pilot and it's blog on the subject of regulation, registration and censorship of comments presented on the blog. This is not a new subject. Ever since the management of the Daily Pilot decided to provide the opportunity to comment online on articles, editorials and commentaries there has been controversy. Much of it had to do with the anonymous posters - those who chose to hide behind the veil of anonymity to post comments. That anonymity has emboldened a few who corrupt the system by using multiple pen names to make it appear that their particular view is broadly held. Many of these same poseurs post criticisms of other folks who comment on the blog instead of offering constructive views on the subject at hand. Their obvious goal is to derail the debate of important issues by turning it into an attack on the debaters. Many individuals have signed in on this issue, including several members of the Daily Pilot staff. On December 28, 2007 Managing Editor Brady Rhoades published a commentary decrying the kinds of online comments he was seeing, describing some as, "..despicable, delirious and downright deleterious to the ideal of constructive debate." You can read Rhoades entire commentary HERE. Publisher Tom Johnson took lots of flack for his commentary posted HERE. Columnist Byron de Arakal also received lots of grief from his most recent essay, HERE. Newport Beach resident, former council candidate and regular columnist Barbara Venezia - who gained fame stirring John Crean's sauces on their syndicated television show, At Home On The Range - chimed in with her own views, HERE. And, of course, yours truly had a letter to the editor published on this subject HERE. In my view - and the view of many others - some changes are necessary to make the Daily Pilot blog a more civil environment in which to debate important issues. The violators of this civility pout and pontificate about loss of freedom of speech. The editors of the Daily Pilot presently require verifiable identification for any letter or commentary published on their print pages. My view is that they should not require less from those who try to post their views online. Now, that doesn't mean that every person who posts has to necessarily do so with their own name, as I do. No, there are certainly valid reasons for choosing anonymity - business reasons, for example. That doesn't mean I won't criticize them for using pen names, though. However, it's my opinion that the editors should know the identity of those who post on their blog and exercise the same editorial discretion they use to edit the print version. It's unlikely that most of the more virulent posters would be as irresponsible and vicious if they knew that their identity was known by the editors of the Pilot. It's my understanding that changes are on the way. Other local newspapers have initiated forms of registration on their blogs, so there is no reason for the Pilot to avoid it. I know the editors are concerned about stifling what they view as a valid "view of the people", but much of the offending stuff is akin to graffiti painted on an electronic wall. Just as we frown on someone shouting "Fire!" in a crowded theater, there are rules for every aspect of our lives. Participation in the electronic media will have them, too. I look forward to the changes that are in the wind for the Daily Pilot. Presently, it is our newspaper of record and our primary source for accurate, timely news of our area. The blog can be a wonderful tool through which our neighbors may be heard on important issues of the day. Civility should not be trampled in the process of voicing those views.